The 4000 series digital audio panel range compliments the VX2200 digital system. 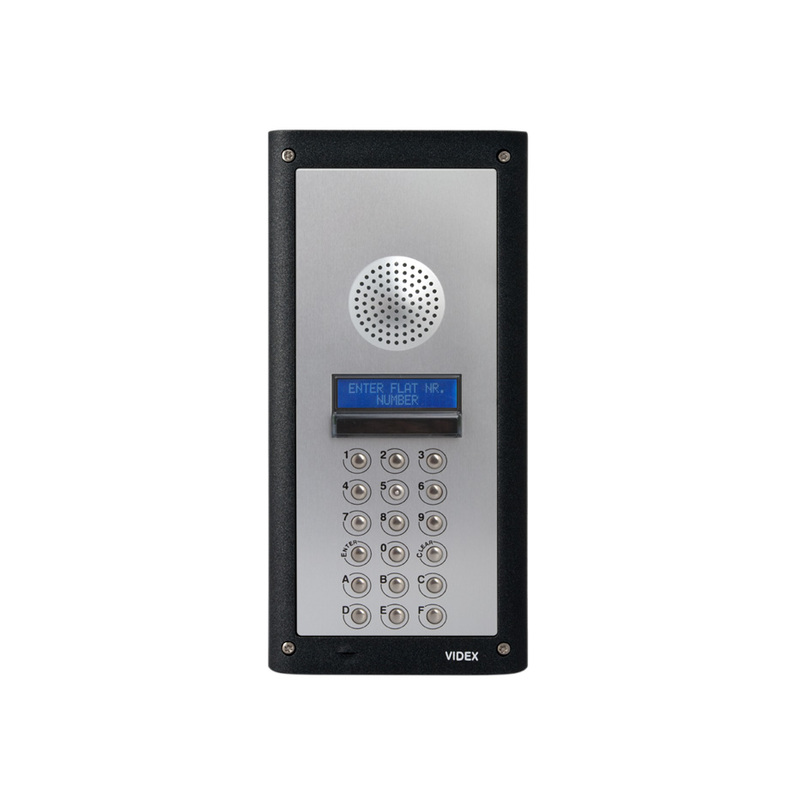 The digital module is built into 4000 series double modules and have either an alpha-numeric keypad (4202/1 with standard key buttons 1-9, enter, 0, clear and A-F) or a numeric keypad with name scroll facility (4202/1R with standard key buttons 1-9, enter, 0 clear and prev, call, next buttons). All panels incorporate features from other VX2200 digital panels: storing up to 255 users (up to 998 with the inclusion of a block exchangers 2206N), allowing each user to have a unique 4-6 digit access code, trade facility, multiple language display and speech board annunciation. The digital modules also includes a blue back-lit 2 line 16 character LCD display and speaker unit. They also incorporate microphone, speaker and speech balance control adjustments. The digital modules are available in either a flush 2 module backbox (4852) or a surface 2 module backbox (4882) and come in a stainless steel finish. Programming is carried out using the built-in numeric keypad or by using the VX2200 PC software kit (SP37) which includes the programming software and a serial RS232 connection cable.